Here's the third and the last of Wastrels from McCabe's Relic Hunters. As I've written before, my main goal while working on these was to keep the variety among them. I think of them as a band of ragtag mean guys and the idea of uniform or any coherence is the last thing that they would consider. 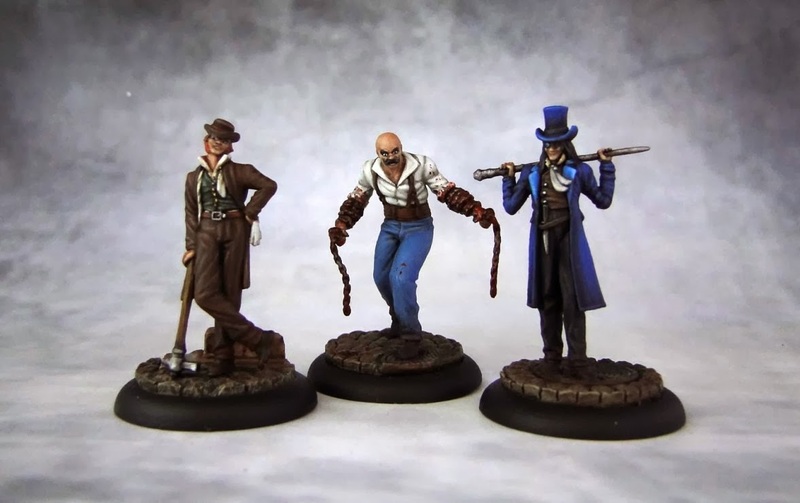 They're simply in Malifaux to cause trouble and get rich. Definitely not likable as far as their story and motives go. 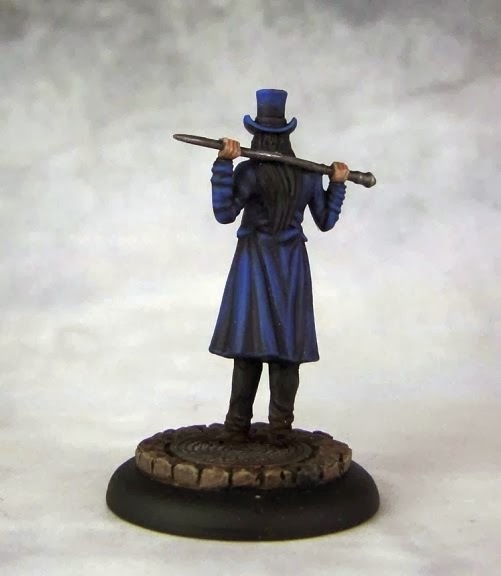 Wastrels are sons of rich families earthside who have come to Malifaux either to escape punishment that awaits them for their deeds or to seek new thrills. So basically these are spoiled kids from rich families with no moral backbone. 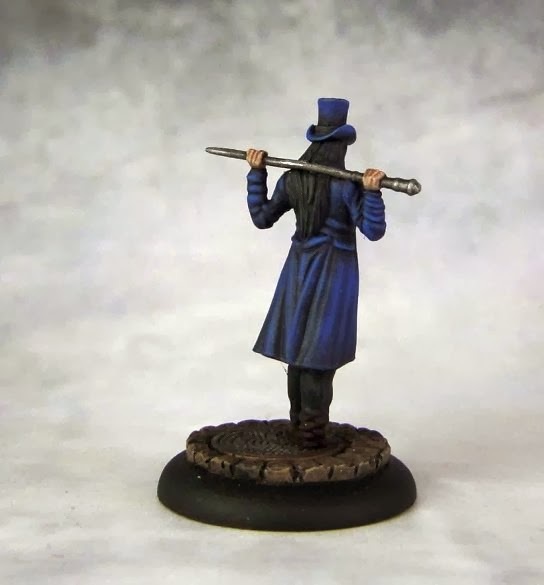 I chose dark and cold color scheme for this one with blue jacket and black pants as they were the largest areas on the miniature. I added a bit of warmer shade to the middle section with the brown vest. His face was a bit hard to get right. The fatial features and the nasty grin are easy enough but eyes are... not there. He's wearing a monocle and the other eye is blocked by a lock of hair. This meant I had be be extra careful about picking up all the details on his face to make up for eyes not being visible. This is another great miniature from this crew, full of character and unique in its won way. As you can see in the pic below, each of the three looks distinctly different and has a lot of personality. 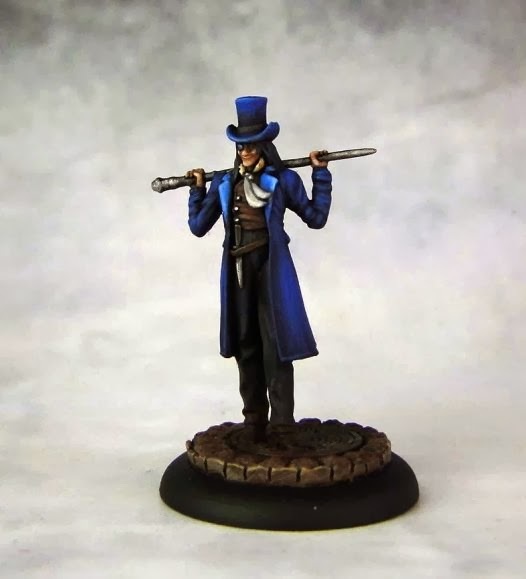 Now there's only McCabe (both versions) left to be painted but before I start working on him I have a few other minis that I want to get painted.